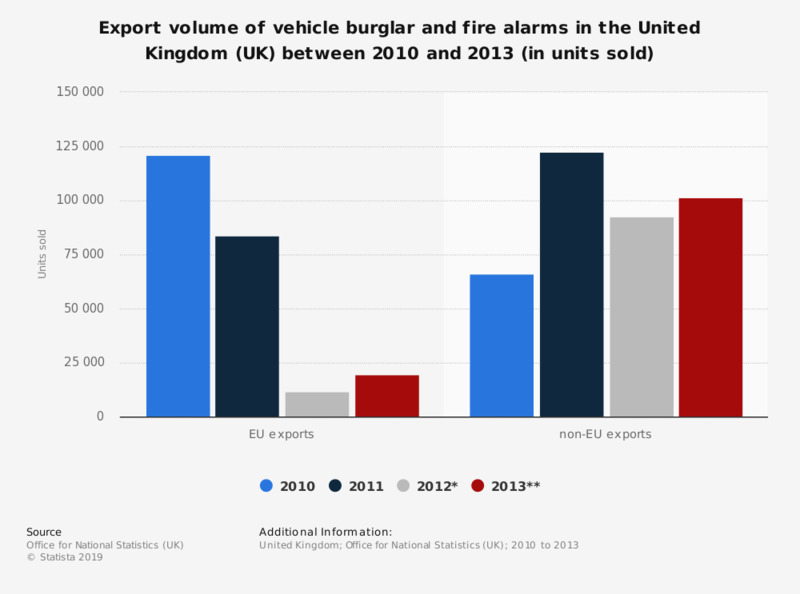 This statistic shows the volume of EU and non-EU exports of electric burglar or fire alarms and similar apparatus for motor vehicles in the United Kingdom between 2010 and 2013. EU exports of vehicle alarms reached a volume of 19.8 thousand units in 2013. Electric burglar or fire alarms and similar apparatus for motor vehicles. Which of the following do you use to prevent fire at home?